Residential customers of Duke Energy Carolinas located in the western and central part of North Carolina may have noticed a small rate increase to their power bills recently. That’s because the North Carolina Utilities Commission approved a 0.3 percent increase for the bills of residential customers that went into effect Aug. 1. In four years, bills for residential customers will rise by 1.2 percent as part of the NCUC order. Duke has said that rate increases are intended to help modernize the electric grid and generate cleaner electricity. But you pay for those increases in the form of rising electric bills. While the power companies fight to raise your power bill, wouldn’t it be great to insulate yourself against any future rate increases? You can do that by powering your home with solar panels installed by POWERHOME Solar. You won’t have to pay for Duke Energy’s ability to generate cleaner electricity when you can do that yourself and own your power, not just continuously rent it from Duke. 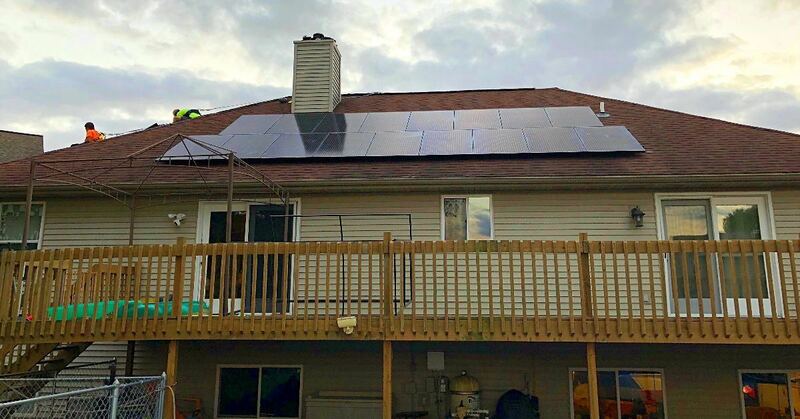 It is indeed a good time to think about going solar in North Carolina, as a 30 percent federal tax credit is available for homeowners who install a solar system and utilize the home as a residence. Duke Energy also is providing a potential rebate of 60 cents per watt for solar energy systems sized at 10 kilowatts or fewer, though funds for the first year of its 5-year, $62 million rebate program were exhausted just two weeks after the program’s launch. With a little more than $12 million being allocated each year, that means approximately $50 million remains over the next four years. And not all of that money is available for the residential sector. With our innovative solar program, homeowners can go solar for $0 up-front cost, save money on their electric bills, and generate their own clean energy. The solar panels installed on your home are American made and come with a 25-year warranty, with many panels expected to last well beyond that. Please feel free to contact POWERHOME Solar at 800-765-2715 and one of our solar representatives will help you determine whether your home qualifies for this solar program.